The Songhai state has existed in Africa in one form or another for over a thousand years. This period covers the first settlement in Gao on the eastern edge of the Mali empire, under which it was a semi-vassal status, through to its continuation in what is now Niger as the Dendi empire. Situated in modern Mali in an area called Western Sudan (not to be confused with the country of the same name), the Songhai empire was founded as a small state centred on Gao circa 700 by Songhai Berbers on the Middle Niger, but it didn't become an empire until the fifteenth century, and reached the height of its power by around 1500, by which time it was the one of the largest African empires in terms of territory, stretching almost the entire length of the River Niger. There were fourteen Za dynasty rulers in the early period of Songhai history, although records are sparse for this early period, especially towards its end. The empire coverts to Islam. The capital is moved to Gao. Za Kusoy was the first Songhai ruler to convert to Islam. He also turned the small kingdom of Gao into a Muslim state. Gao began to attract North African merchants during his reign. Again, towards the end of the dynasty records become sparse. The Songhai empire is occupied by the Mali empire. The first great king of the Songhai was Sunni Ali. Ali was a Muslim like the Mali kings before him. He was also an efficient warrior who conquered many of the Songhai's neighbours, including what remained of the Mali empire. Gao fell under the indirect control of the Mali empire during the reign of Sundiata. In around 1275, it seems that a Mali official fled to Gao and established his own dynasty. The kings were called Sunni or Sonni meaning 'replacement' or 'liberator' kings. Gao had to be continuously attacked by Mali to keep the new Sunni dynasty paying tribute. The Songhai empire is occupied by the Mali kingdom. Songhai once more becomes independent. With Sunni Ali Ber's accession the Songhai truly start to become empire-builders, eclipsing their former rulers, the Mali empire. Sunni Ali occupies Timbuktu and creates the last great empire of the western Sudan. Son. Last Sunni ruler. Rejected in favour of the Askia. Sunni Abu-Bakry Baro is seen by his critics and opponents as not being a faithful Muslim. This gives one of his generals - Mohammed Ture - the opportunity to challenge his succession as ruler of the Songhai empire. His challenge proves to be successful and he replaces Sunni Abu-Bakry Baro to found the Askia dynasty. Following the death of Sunni Abu-Bakry Baro of the Sunni dynasty of Songhai rulers at Gao, Muslim factions rebelled against his successor. Instead, Askia Muhammad (formerly known as Muhammad Ture) was installed as the first and greatest ruler of the Askia dynasty. Under the rule of the Askias the Songhai empire reached its zenith - with the decline of the previously dominant Mali empire the Songhai were able to expand into their territory, already having taken Timbuktu in 1468. Under Songhai rule, both Timbuktu and Jenne (Djenné) on the River Niger - both of which lay to the west of Gao - flourished as centres of Islamic learning, and Islam was actively promoted. This was the last great empire of the Western Sudan, but its years of glory were brief thanks to an invasion by superior forces from Morocco. Raised during Muslim rebellion. Dynasty founder. Died 1538. As the new ruler of the Songhai empire, Mohammed Ture oversees a programme of expansion which extends the empire's borders to Taghaza in the north and the borders of Yatenga in the south, from Air to the north-east and Fouta Djallon in Guinea on Africa's west coast. He also organises an efficient trade routes system, along with the administrative necessities to ensure that it functions. Despite all his good work, though, he is overthrown by his own son and lives to see him and various other sons bicker over the succession. Having already achieved a high point in its expansion and organisation, the Songhai empire under the Askia dynasty begins to decline. Askia Musa, having deposed his own father, is surrounded by relatives who also want a taste of power and he does his best to kill as many of them as possible. Ultimately he is assassinated by Mohammad Benkan and a group of supporting brothers and relatives. Mohammad Benkan manages to hold onto that power for just six years before he too is overthrown. Brother of Askia Musa. Died of natural causes. Brother. Left a strong and united empire. Askia Daoud succeeds his deceased brother unopposed and manages to rule over an empire that sees remarkably little internal strife. In fact Daoud is able to expand the empire's borders even further. He is able to organise various campaigns against subject territories which fail to show proper obedience and the Songhai are usually successful. 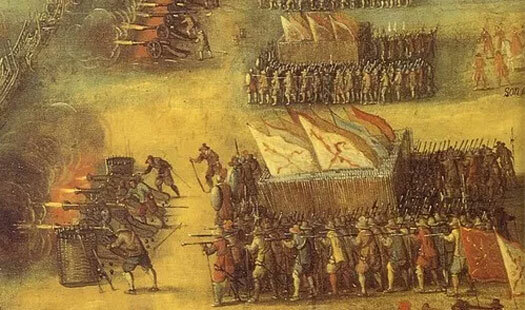 Their one failure comes against the Mossi kingdoms of what is now Burkina Faso in 1561-1562. Daoud's death plunges the empire into renewed instability as his sons vie against one another to control it. Their efforts so weaken the empire that it is exposed to attack from the north. Brother. Killed in battle. Songhai empire destroyed. A Moroccan invasion terminates the empire. The Songhai forces are routed at the Battle of Tondibi by the Saadi gunpowder weapons despite vastly superior Songhai numbers. Gao, Timbuktu, and Jenne (Djenné), are sacked and the Songhai are destroyed as a regional power. The Saadi Moroccans takes over control of Mali while the Songhai themselves retreat to the Dendi region of what is now Niger and reform a smaller kingdom. Branches of the Songhai Askia dynasty remain in Timbuktu and Gao (the latter provide a rival to the kingship of Lulami in the eighteenth century). Brother. Ruled Gao under Moroccan dominance. Morocco eventually proves to be unable to control such a vast empire across such great distances. A rebellion in Timbuktu almost as soon as it is taken by Morocco highlights this fact. It is Askia Muhammed in Gao who restores the local peace. Morocco soon relinquishes control of the Western Sudan region (by 1670), allowing it to splinter into dozens of smaller kingdoms of which Gao is one of the larger. To the west,Taureg nomads control Mali until a new local power emerges in the form of the Tukulor empire in 1854, while the Songhai refugees in Dendi flourish. 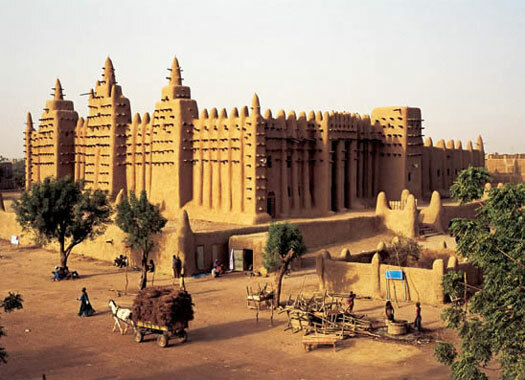 Always prone to raids from the Muslim north, the Songhai empire which covered much of modern Mali and Niger still managed a period of greatness in the sixteenth century which saw Islamic learning provided in important centres such as Jenne (Djenné) and Timbuktu. Islam itself was actively promoted in the empire, but that did not protect it from a Moroccan invasion in 1591. The Battle of Tondibi saw the Songhai forces being routed by the use of gunpowder weapons about which the superior numbers of the Songhai could do nothing. The empire's important centres, including Timbuktu, were sacked and the empire was destroyed. The ruling Askia dynasty survived, however, and its family members fled to their native Dendi region of Niger. 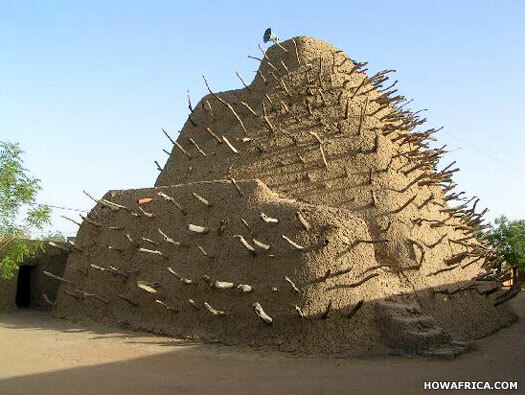 They set up a new capital at Lulami (location unknown) and continued all the traditions of the Songhai empire. Sadly the rule of many of their kings - using the title askia or askiya - is fairly obscure. The first king, Askia Nuh I, was a brother of several askia, Ishaq II, Muhammed Gao, and Sulayman (and several more who succeeded Nuh himself). While he joined the exodus back to Lulami, Sulayman remained in Timbuktu as its Saadi puppet ruler, spawning a dynasty of his own there. The gold trade from the region was a source of profit for the reformed kingdom, with some of it reaching Granada in Spain, but the Dendi kingdom never matched the power and prestige of its forebear. By the end of the nineteenth century it was so wracked by internal dissention that its military forces were in no state to stand against the invading French forces. Brother of Songhai Askia Ishaq II. First Dendi king at Lulami. Although they may have lost most their Songhai empire, the Dendi kings of Lulami have not given up hope of reclaiming their lost lands. The residents of one of their most important former cities, Jenne (Djenné), now rebel against their Moroccan Saadi governors and the Dendi kingdom supports them. The Saadi eventually recover the city but little in the way of support is provided from Morocco itself. The city is soon abandoned to the Fulbe and Tuareg nomads, with Dendi apparently being satisfied enough with the outcome not to try and reclaim it for themselves - and probably lacking the resources to do so. Instead, the Bamana of Jenne soon leads an independent state based around the reduced city. Brother. Reigned for 7 years. Nephew. Reigned for 22 years. Deposed by his brother. Askia Dawud turns out to be a ruthless and dangerous ruler. He murders many members of his own family, supposedly to cement his hold on the throne, while the military and general populace are also not immune. His brother, Isma'il, flees to the Saadi-held city of Timbuktu, seeking military support from the Moroccans. He returns with an army in 1639 and Dawud is removed from power. Then Isma'il attempts to get the Saadi forces to leave and is himself deposed. The Saadi general, Pashad Mesaoud sacks Lulami. Brother. Deposed by the Saadi. Cousin. Saadi puppet. deposed by his own people. Askia Muhammad is the Saadi puppet ruler imposed on the Dendi kingdom following the removal of Askia Isma'il Muhammad. The length of his reign is unclear but seems to be little more than a few months. Then he is removed by the Dendi people, by which time it has to be assumed that the bulk of the Saadi forces have returned to Timbuktu. Son of Muhammad Surku Ilji. Cousin? Son of Fari-Mondzo Hammad. Son of Dawud I (II). The Alawi rulers of Morocco have found it impossible to control such a vast empire across such long distances as the one they have taken from the former Songhai empire. By this date they have already begun relinquishing control of the region, allowing it splinter into dozens of smaller kingdoms. Brother. Last of the dynasty founded by Nuh I. 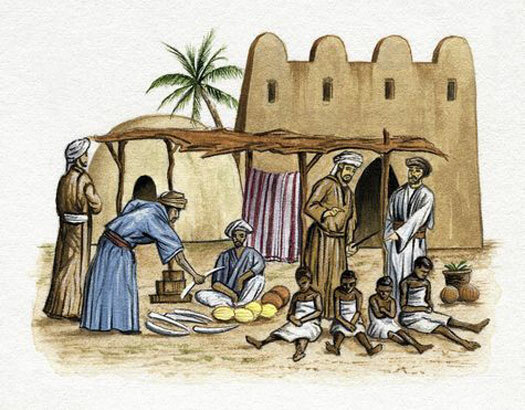 Although the bulk of the former Songhai empire's leadership had transferred to Lulami in 1591, there had been a great many brothers of the first king at Lulami who remained scattered across the empire's now Saadi-dominated lands. One of these had become the ruler of Timbuktu, founding a dynasty of his own there, while another had remained at the old city of Gao to found a local ruling dynasty there. Around this date, El Hadjj Hanga, son of Ismai'la who is the son of Morobani of Gao, relocates to Lulami to challenge for the crown. He wins it for himself and sons, but even this leadership is later challenged again from Gao. These struggles disrupt the weakening kingdom and send it on a course towards fragmentation. Son of Ismai'la of a rival Askia dynasty at Gao. Son of Samsu Beri. Deposed. Son of Morobani of Gao. The Dendi kingdom fractures into three separate elements. Each has its own capital, at Gaya, Karimama, and Madékali, now on either side of the modern border between Benin and Niger. All three rulers claim descent from the Songhai rulers of Gao and all survive into the French occupation period where they are documented. The dominant rule of the Dendi kingdom may be shared or rotated between the houses (its exact pedigree is unclear), with the descendants of Tomo and Bassaru dominating in later years. Son of Tomo. Deposed by France. The French have had an occupying force in the region since 1890, with the effect that native power is greatly curtailed, although this does have the side benefit of reducing internecine conflict. Now, in 1901, with the French appropriating further territory in the River Niger and Sahara regions, the Dendi kingdom is effectively terminated and incorporated into their colonial possessions. Along with a number of other territories the former kingdom is now part of French West Africa. Son of Bassaru. Puppet king until French rule is in place? In 1902, two major administrative regions of French West Africa - Middle Niger and Upper Senegal - are re-merged as Senegambia & Niger, and renamed in 1904 as Upper Senegal & Niger when a direct governorship is re-established. This would seem to affect the former Dendi region, and certainly affects French Sudan. The territory becomes an autonomous republic of the 'French Community' of states in 1958. Two years later it gains independence from France, and becomes part of a modern Niger. One of the new nation state's first acts is to leave the 'French Community'. Niger lies on the southern side of the Sahara Desert (known to the locals as the Tenere Desert), and as a result a large proportion of its extended territory is arid. Its capital is Naimey, which is located in the populous south-western corner of the country. A landlocked state, it is neighboured by Algeria and Libya to the north, Chad to the east, Nigeria and Benin to the south, Burkina Faso to the south-west, and Mali to the west. The territory which forms modern Niger first emerged into history as the easternmost section of the Songhai empire. This covered only the south-western quarter of what is now Niger, with something of an extension towards the Sahara. The Songhai empire was founded as a small state centred on Gao around AD 700 by Songhai Berbers on the Middle Niger. It evolved slowly, only becoming an empire in the fifteenth century and reaching the height of its power by around 1500. By this time it was the one of the largest African empires in terms of territory, stretching almost the entire length of the River Niger which cuts through a wide swathe of Mali but which barely touches the far south-western corner of Niger. In 1901 the empire's descendant, the Dendi kingdom, was conquered by France. Colonial occupation lasted for fifty-nine years. Following independence from France in 1960, the new republic of Niger - gaining its name from the river - enjoyed a troubled life. The new parliament elected Hamani Diori as Niger's first president, but straight away it suffered a severe drought, and the instability caused by this resulted in coup after coup. 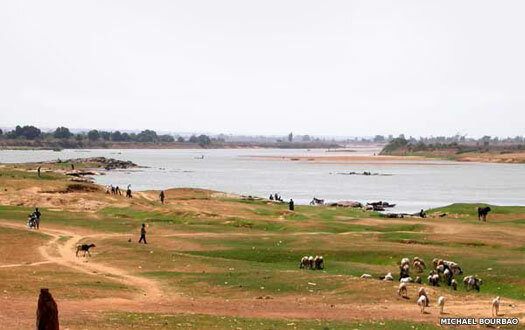 Today the country is prone to frequent droughts, insurgency, and widespread poverty. The struggle to improve the standard of living is an ongoing one in this predominantly Islamic country. For the first fourteen years of its existence, Niger is governed as a one-party state with President Hamani Diori leading its affairs. This is the country's 'First Republic' period, but that one party system is imposed by Diori almost immediately following independence and does not bode well for the country's future. Severe drought between 1968 and 1973 devastates Niger's livestock and crop production. This causes Niger to experience increasing destabilisation, which is exacerbated by accusations of out-of-control corruption in government. The situation reaches boiling point when President Hamani Diori is overthrown by a military coup which is led by Lieutenant-Colonel Seyni Kountché. Niger now experiences its first taste of government by military junta. Several minor counter-coups are attempted and are crushed (in 1975, 1976, and 1983). With Seyni Kountché dying of a brain tumour, he is succeeded by Ali Seybou, the chief of staff of the armed forces. Seybou immediately introduces political reforms to help improve conditions in the country. Military dictator. Replaced by transitional government. A new constitution in 1989 brings Niger back to civilian rule, heralding the start of the country's 'Second Republic', but again under a one-party system. Seybou is re-'elected' as president. In the following year a Tuareg rebellion starts up in northern Niger (not ended until a ceasefire agreement in 1995). This only adds to the country's political unrest, with a wave of strikes and demonstrations already having led to opposition political parties being legalised. 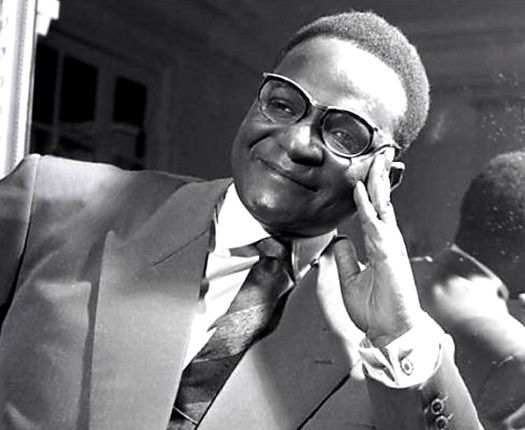 In 1991, A constitutional conference strips Seybou of his powers and sets up a transitional government under Andre Salifou. This leads to a new constitution in 1992 and presidential elections in 1993. Mahamane Ousmane is elected president at the start of the 'Third Republic'. The democratic peace lasts a remarkably short time. President Ousmane is ousted in a coup led by Colonel Ibrahim Maïnassara, who then bans all political parties. In May a new constitution which gives him increased powers is approved in a referendum and the ban on political parties is lifted. In July, Mainassara 'wins' presidential elections, beginning the 'Fourth Republic'. Ibrahim Maïnassara is assassinated by his own bodyguards. Major Daouda Wanké assumes power in his place, and in August a new constitution is introduced which reverses the 1996 increase of the presidency's powers. Elections are held in October-November, and Mamadou Tandja wins them with a majority of seats in parliament. Wanké stands down and the 'Fifth Republic' begins. Tandja manages to hold office for a full decade, remaining in place for a third term even though the limit is two. President for a decade. Ousted by the military. Remarkably late by the world's political standards, slavery is banned in Niger. Even so it continues to pose a problem in a country in which the rule of law can sometimes be seen as a flexible process. Several prosecutions for slavery follow. The increasingly-power hungry President Mamadou Tandja is ousted by the army in February following a decade in power, a term which he has shown every sign of extending with the enforcement of a new constitution and the start of the brief 'Sixth Republic' between 2009-2010. The military vow to oversee free democratic elections. Press freedom begins to see considerable improvement even before then. 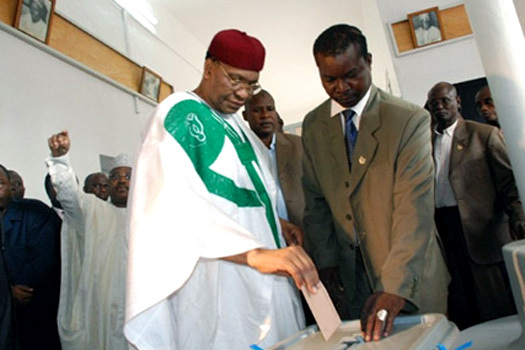 Veteran opposition leader Mahamadou Issoufou becomes president in March 2011 during free and fair elections. This ends a year of benevolent control by the military junta which has already heralded the start of the 'Seventh Republic'. The election has aimed to return the country to democracy after Tandja's expulsion by the military, with a remarkably quick turnaround, taking Niger from yet another would-be dictatorship under Tandja to fresh democratic elections in this year. In August 2014, Islamist separatists in Nigeria, Boko Haram, proclaim a caliphate in the territory which it controls in the north-east of the country, and in November the group launches a series of attacks in north-eastern Nigeria, capturing several towns near Lake Chad and running raids into neighbouring Chad and Cameroon in early 2015. This forces Nigeria, Chad, Cameroon, and Niger to form a military coalition against Boko Haram, which claims successes in pushing it back in all of these countries. The Nigerian army captures Gwoza, which it believes is Boko Haram's main stronghold, in late March 2015, leaving the armed group with only two towns under its control.